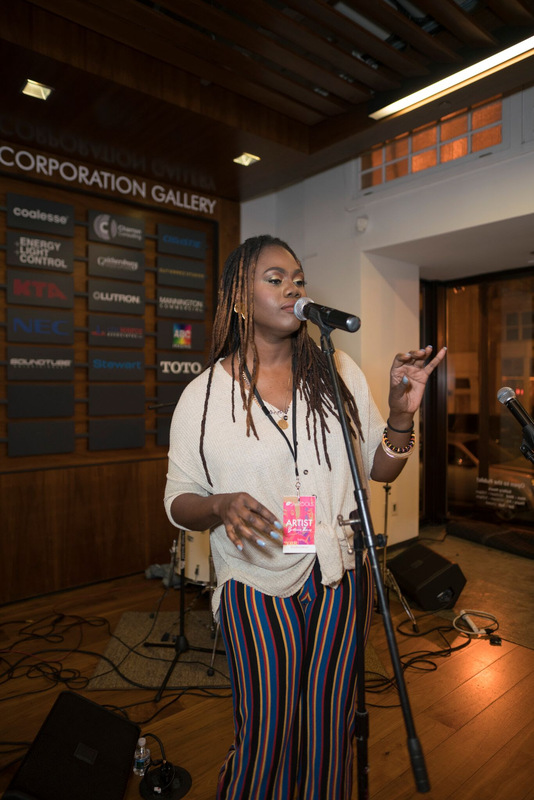 As Women’s History Month comes to a close, SheROCKS kicks off its tireless mission to highlight music’s brightest emerging talents while celebrating women excelling in business and the arts! 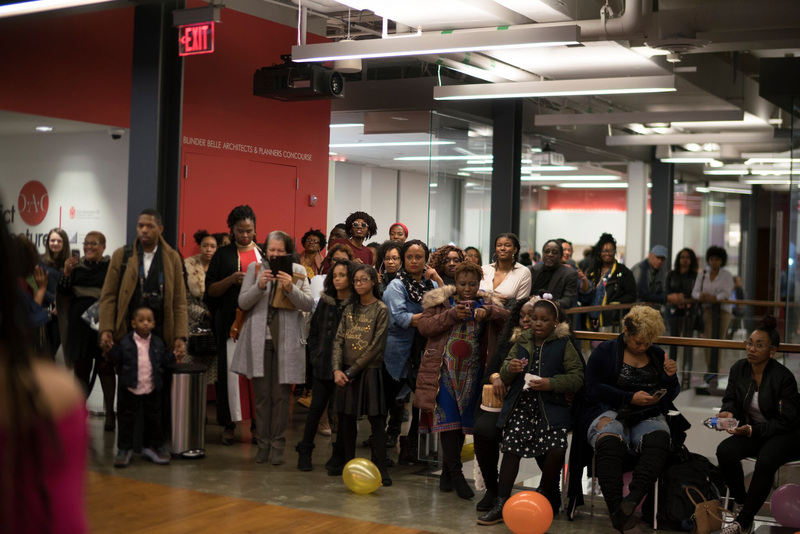 This year’s 2-day fempowerment extravaganza began with HERStory at the District Architecture Center, where Sasha Nicole and Caressa Jennings shared riveting testimonials. 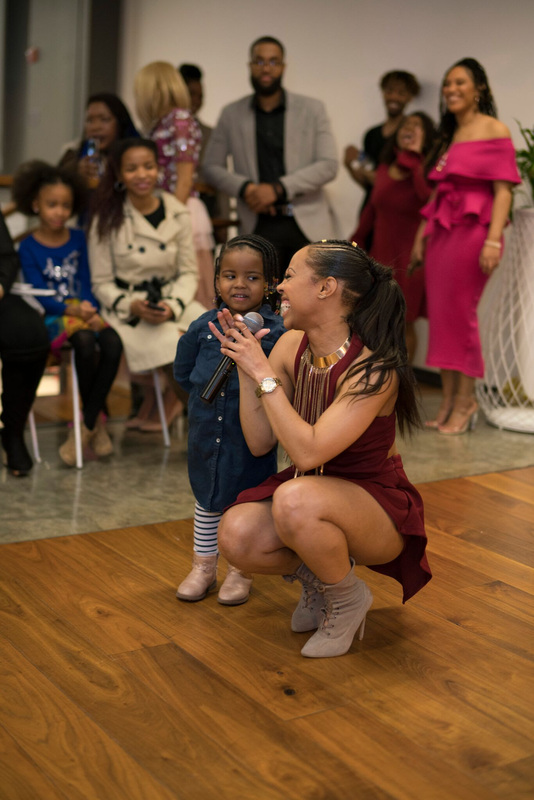 Nicole touched on showing up even when you don’t feel like it, postpartum struggles and speaking your destiny into existence. 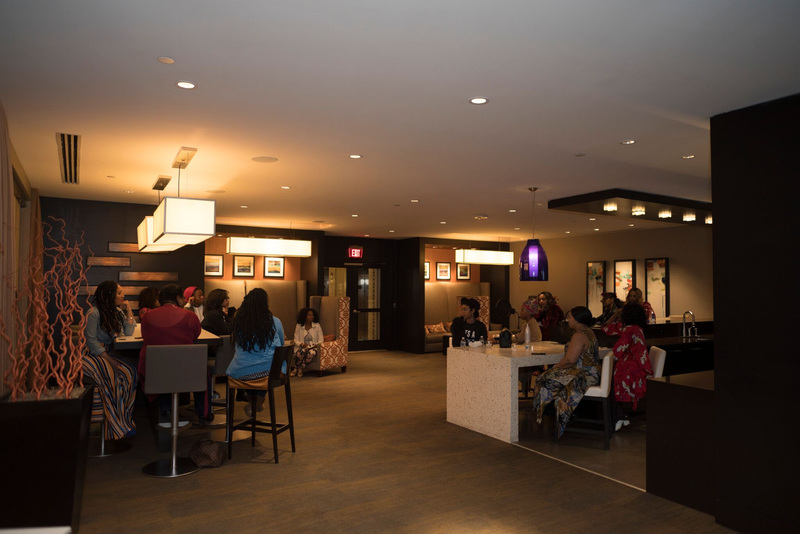 Caressa J hosted a masterclass on deciding your now, and In His Hands – a Total Wellness Boutique that offers a holistic approach to your health and wellness needs – led a meditation exercise. 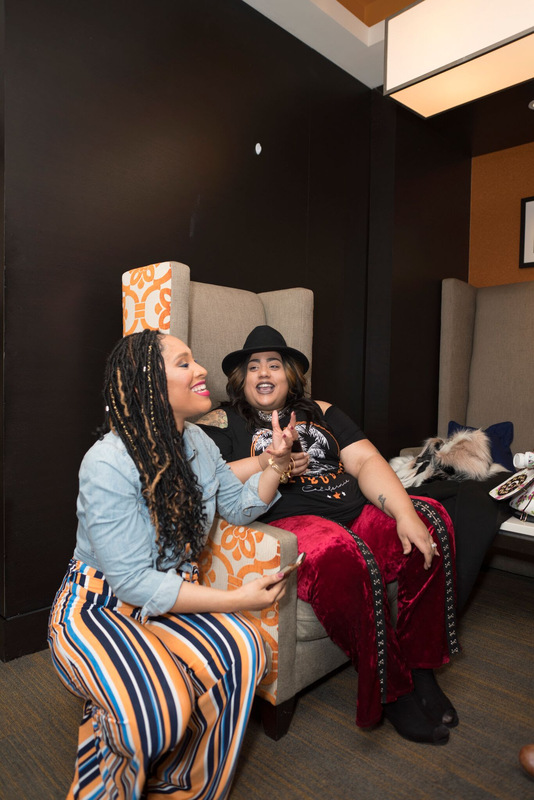 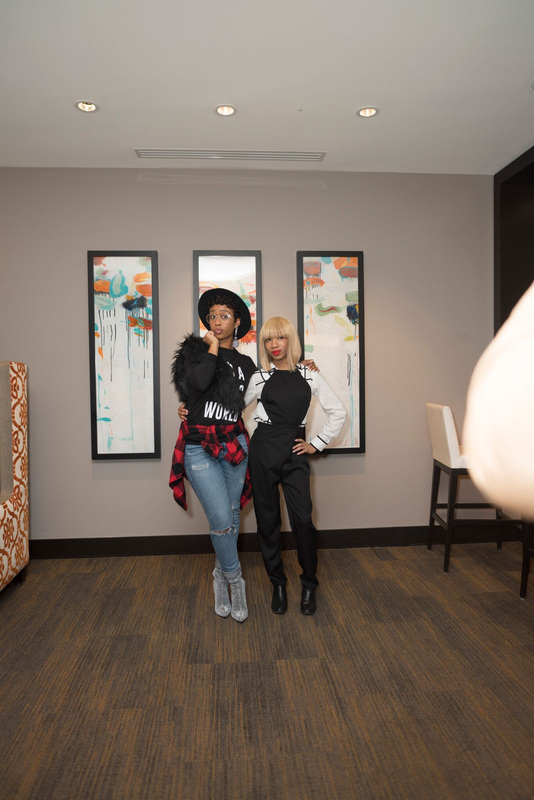 Following HERStory, SheROCKS’ showcased artists,honorees, influencers, partners, vendors and sponsors gathered for a VIP Pamper Party held at The Meridian. 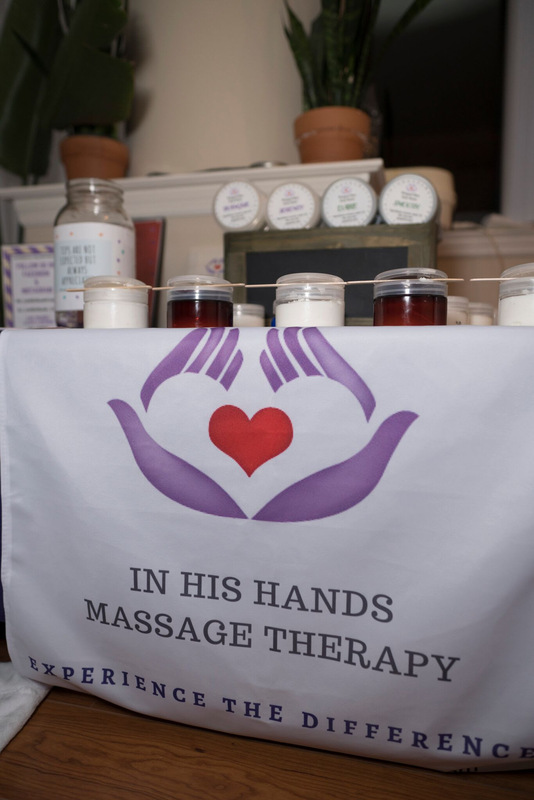 In between light bites, fellowship, girl talk, tons of selfies and tales of business and life, In His Hands treated attendees to deluxe services. 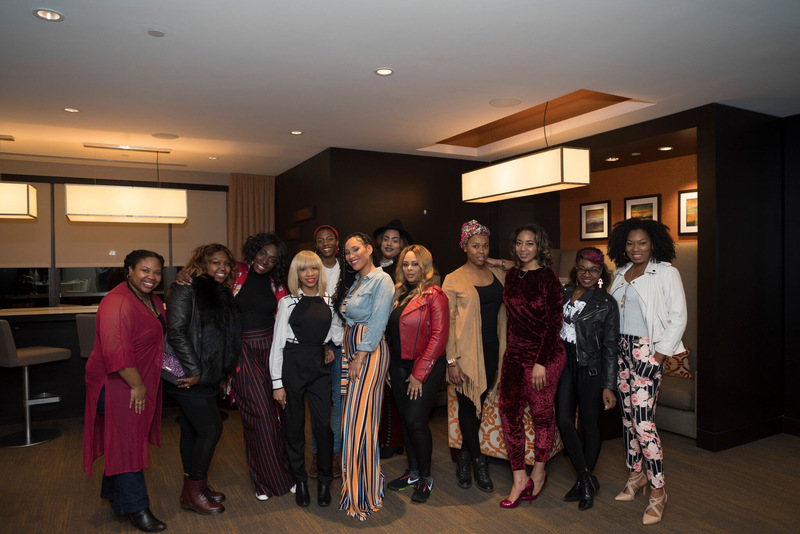 Bonds were made and strengthened, and in sharing personal tidbits, similarities were realized despite where each woman was in their life journey. 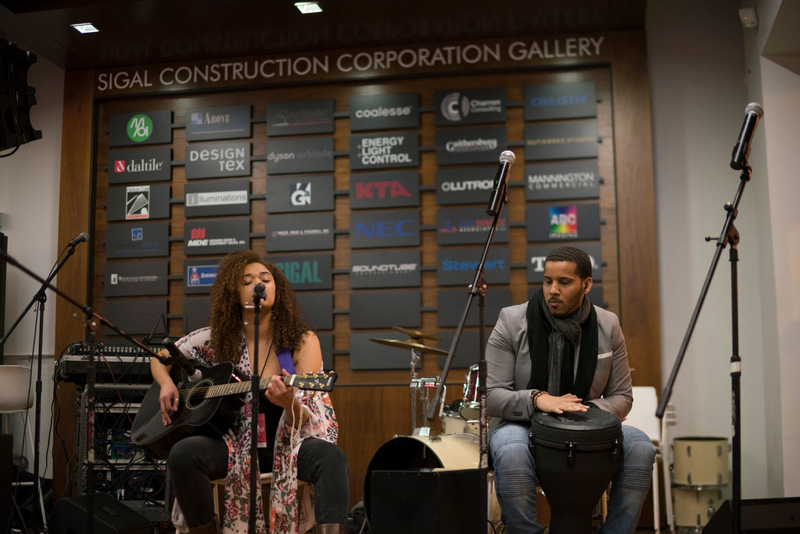 SheROCKS Day 2 was impacted by the March For Our Lives, which took place earlier that morning, yet affected the evening commute both in and out of Washington, D.C. Undeterred by the standstill traffic delays, honorees, event managers and producers, vendors, artists and guests drove relentlessly in circles and finally trekked to the District Architecture Center with instruments and supplies in hand, ready to execute SheROCKS’ 6th year celebration. 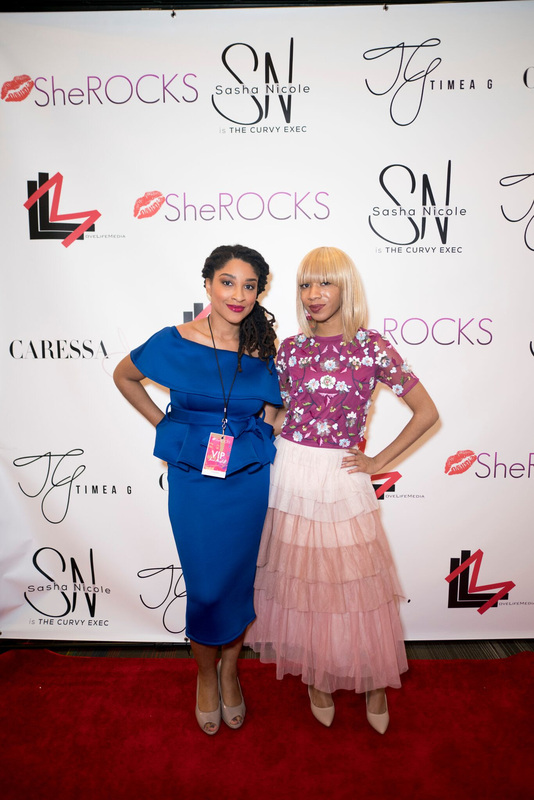 Hostess with the most, Ashley K, warmly greeted the crowd and introduced SheROCKS founder, Timea Gaines. 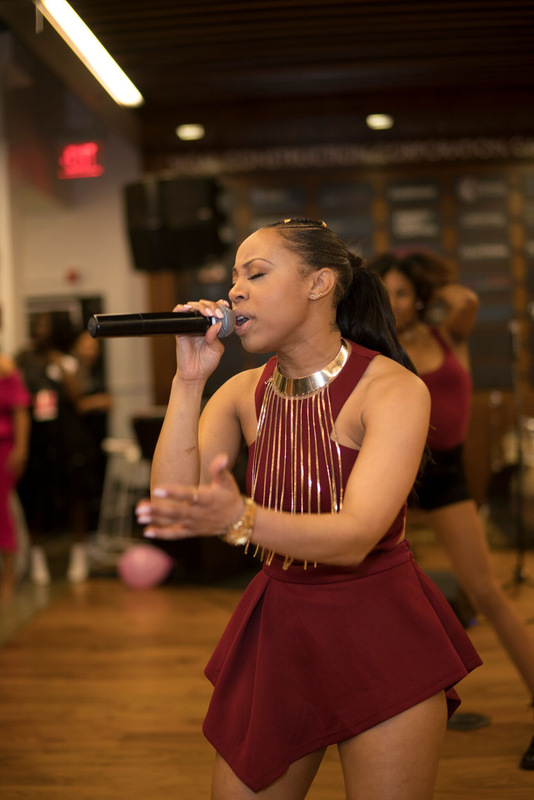 Gaines pumped up the crowd clad in a stunning pink YTBoutique dress as she introduced the opening act, TAMARA JADE, whose powerful vocals brought the other showcased artists to their knees. 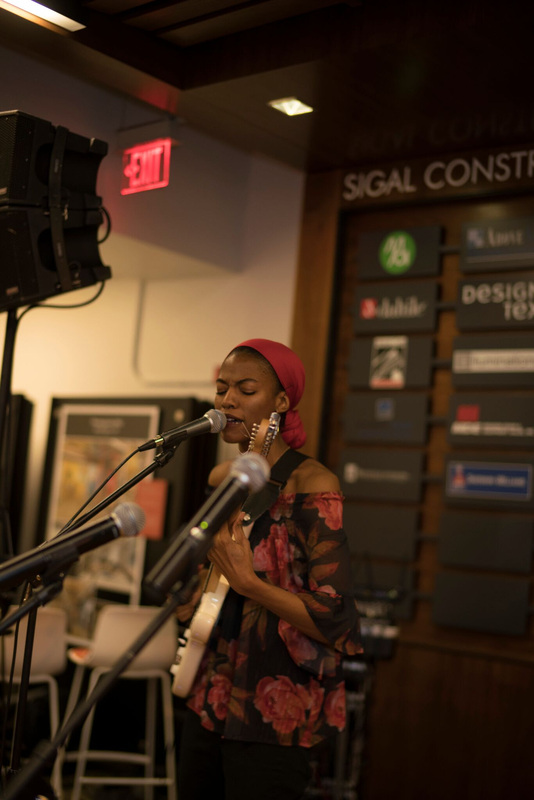 FELICIA “FREYA” TAYLOR followed suit with an acoustic bop and CRAMER MUSIC jammed and jazzed while strumming her guitar. 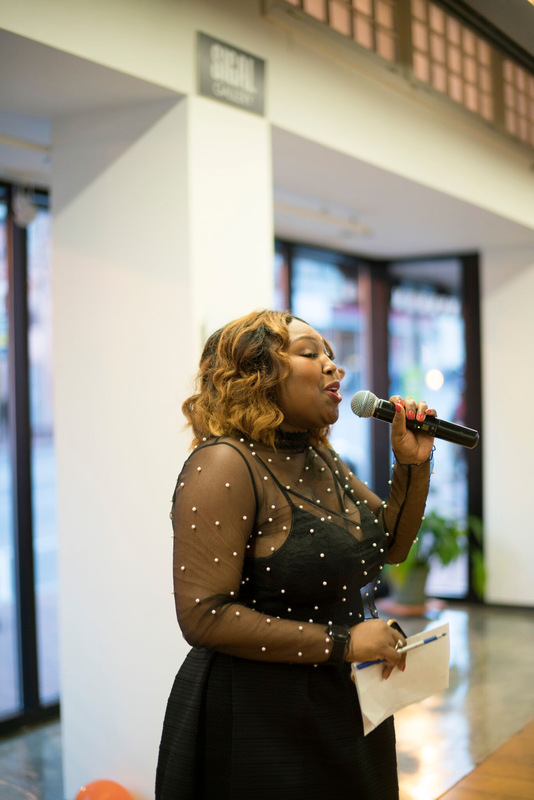 Showcased Artist BRITTANIE THOMAS sang an original piece, “Do Your Thing” chronicling her journey from undergrad to womanhood and the trials in between. 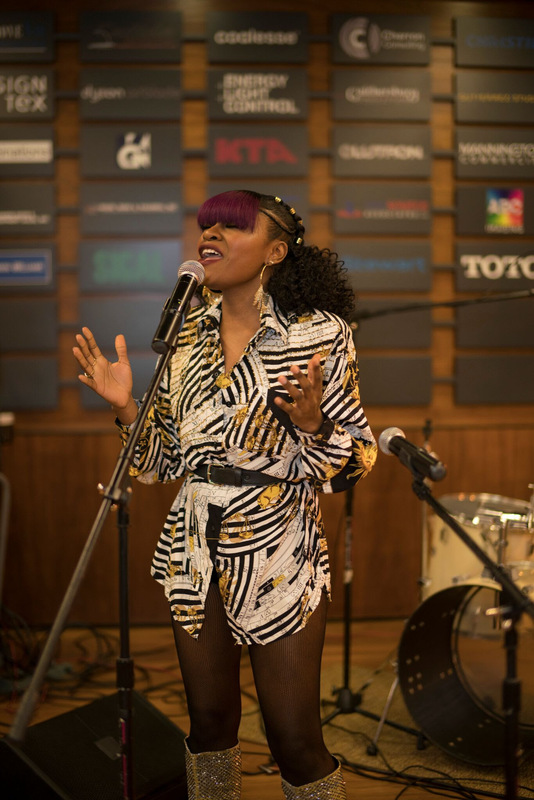 PATRICE LIVE picked things up with hard beats coupled with a shimmy and smooth vocals. 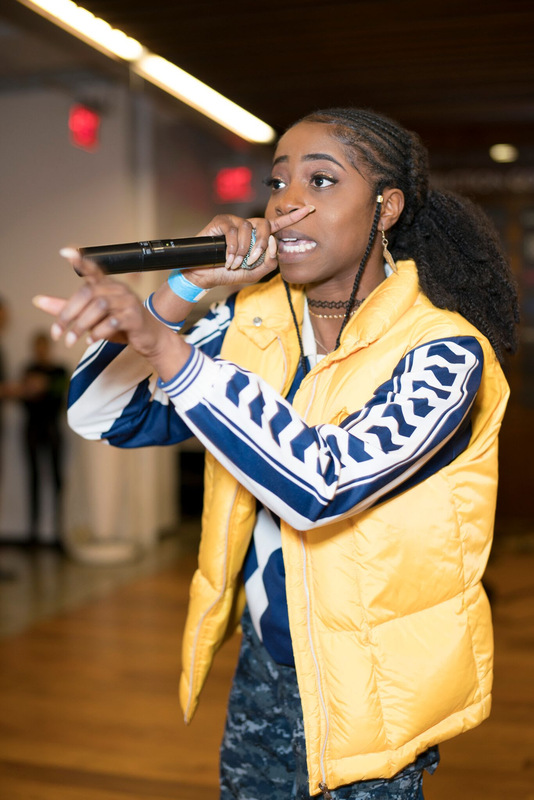 O-SLICE, took the crowd to church and they yelled “PREACH’ as she performed a powerful piece addressing police brutality, the Black Lives Matter Movement and more. 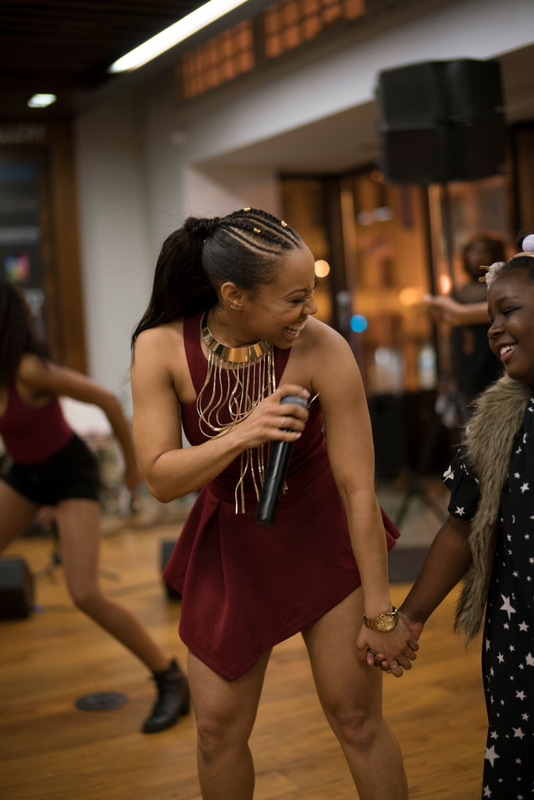 MEGAN ATKINSON and her partner gracefully contorted their bodies in a raw dance and ROQUOIS closed out the show with original songs and a crowd selected improvisation based on Sushi and affection. 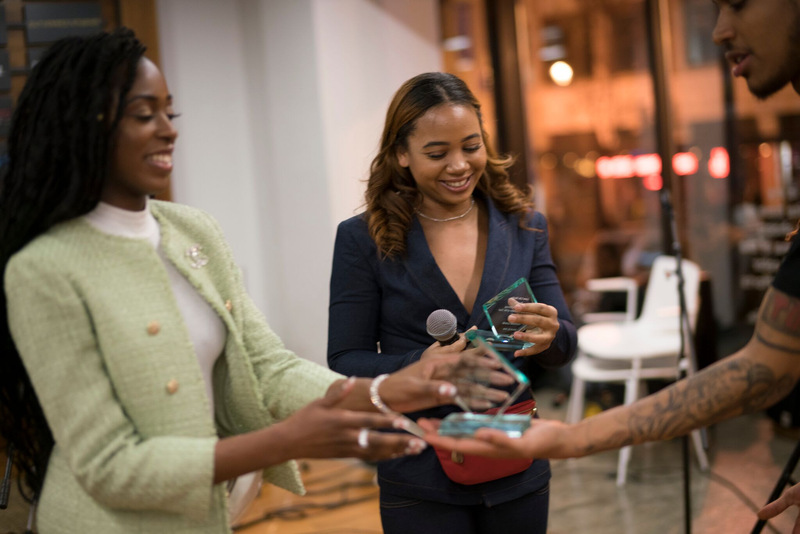 Honorees imparted moving words of wisdom sharing their journey’s through creative and professional discovery. 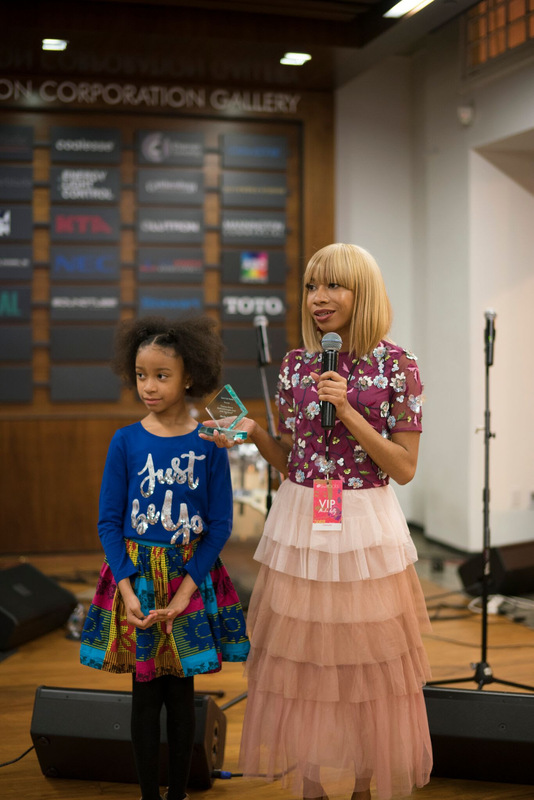 MACHEE KELLY , Greiman-Roberts SheROCKS Graphic Artist of the Year Honoree, accepted her award with her beautiful daughter Chole by her side. 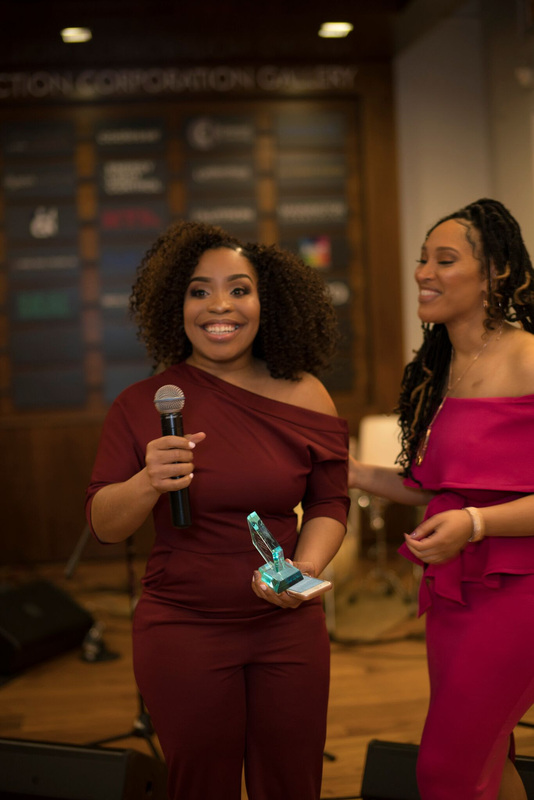 Nikki Osei-Barrett (the event publicist) was surprised with the Welteroth Winter Winfrey SheROCKS Industry Power Player of the Year Award. 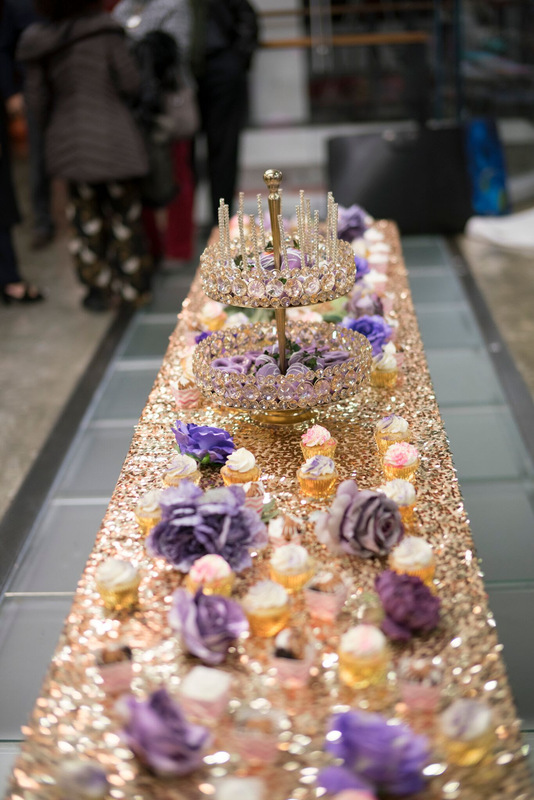 Basket Treats By Alexis Streets designed a beautifully delicious dessert spread which doubled as an event centerpiece. 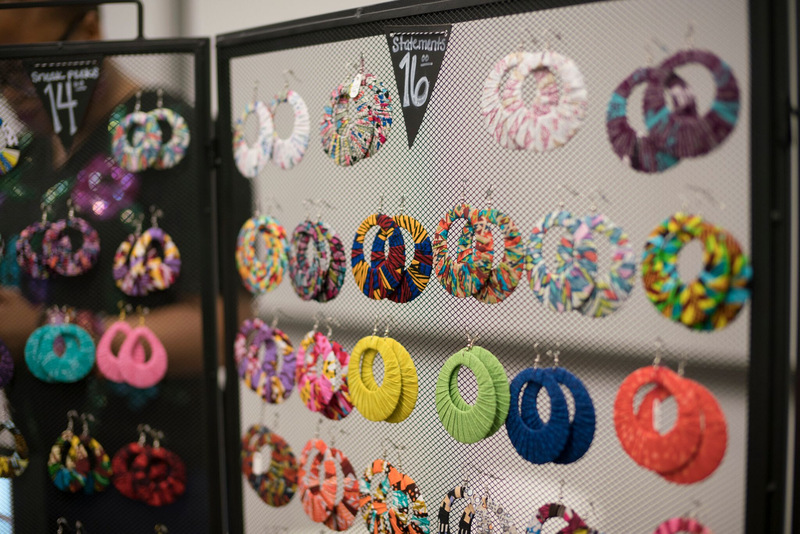 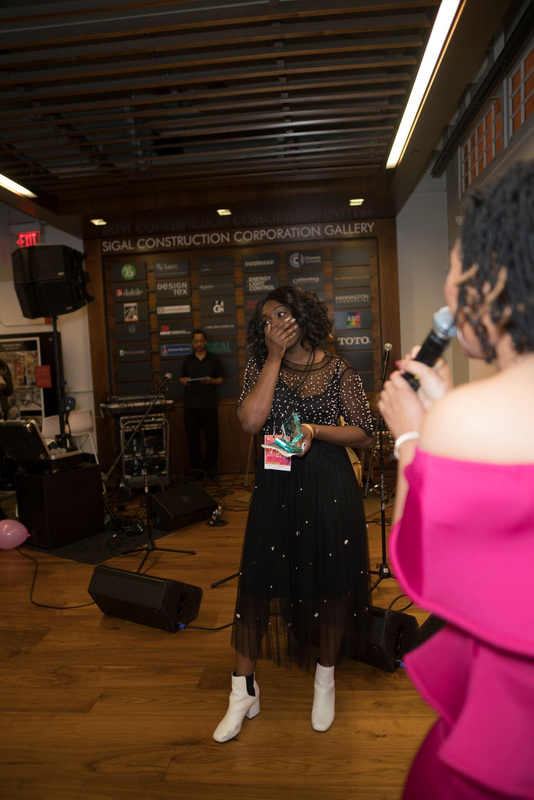 While guests nibbled, they shopped fashion, beauty and lifestyle vendors, explored workshops and enjoyed gift bags and each other, showing the utmost support to each honoree and performer. 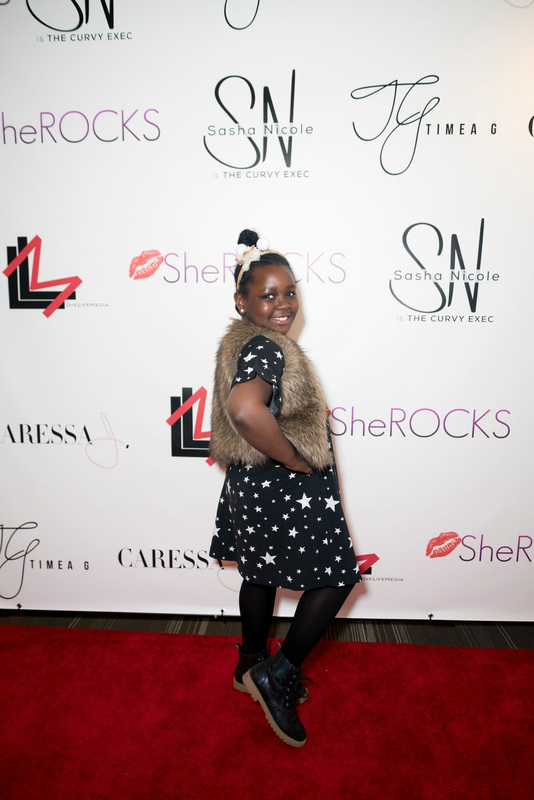 SheROCKS allows girls to envision themselves as creative entrepreneurs, game changers and award winners in any capacity they can dream. 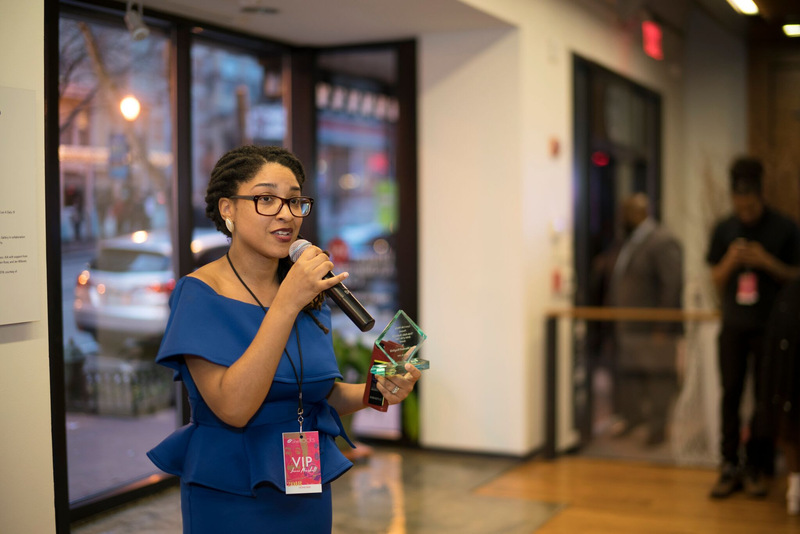 And THAT is the true impact of SheROCKS – creating opportunities and visibility for today’s fearless pioneers and tomorrow’s leaders. 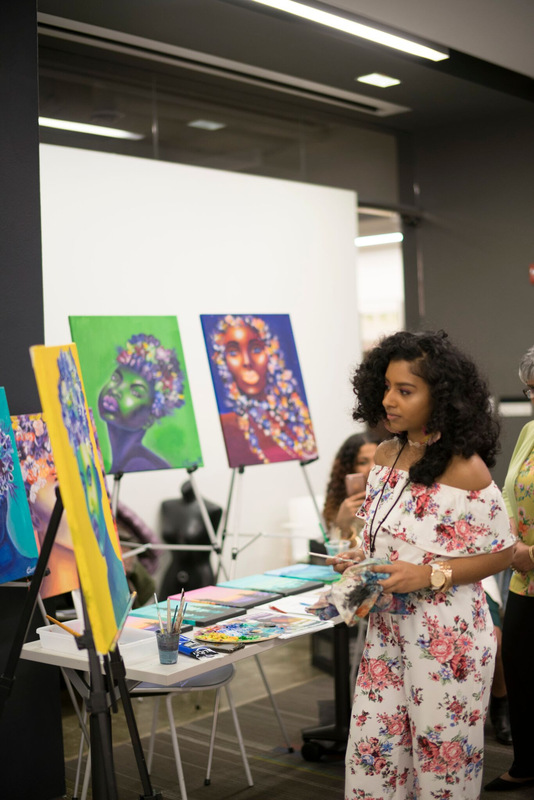 SheROCKS is the ultimate gathering of local and national creatives, recognizing those impacting the world through their works that are typically overlooked or have yet to be discovered. 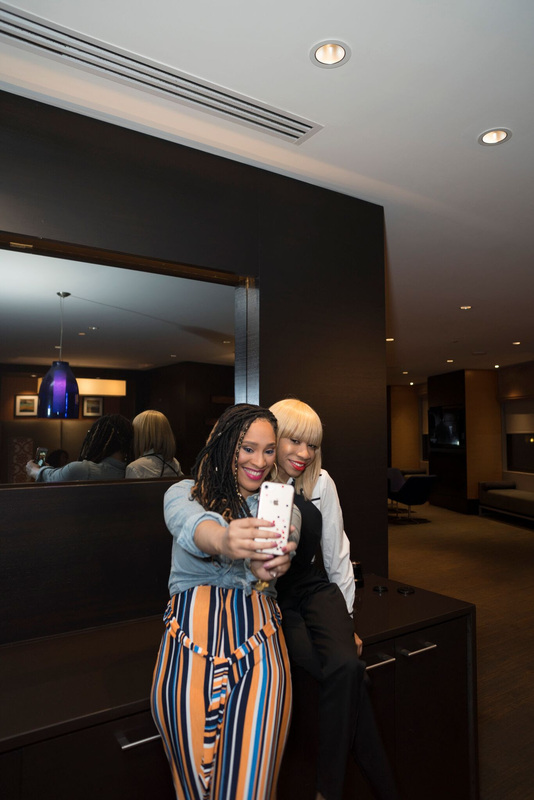 “I will continue to celebrate women in arts and business,” says, Gaines. 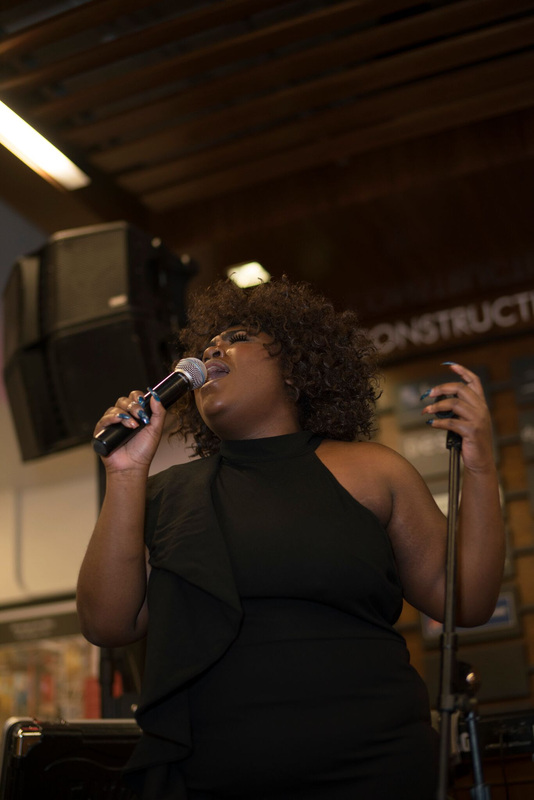 ” It’s so important to highlight the efforts of women no matter the size of their platform. 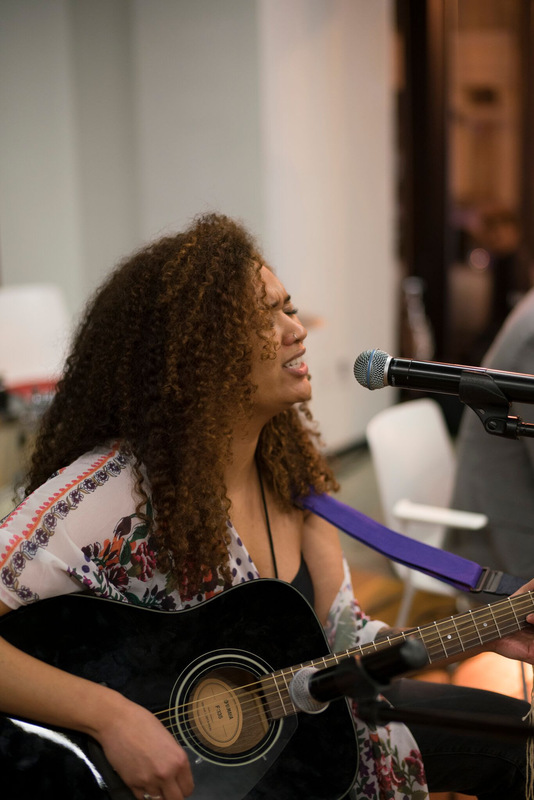 That recognition – knowing that someone actually sees them – just may be the fuel they needed to continue their good works.” SheROCKS will debut in Los Angeles in July and in New York City in September. 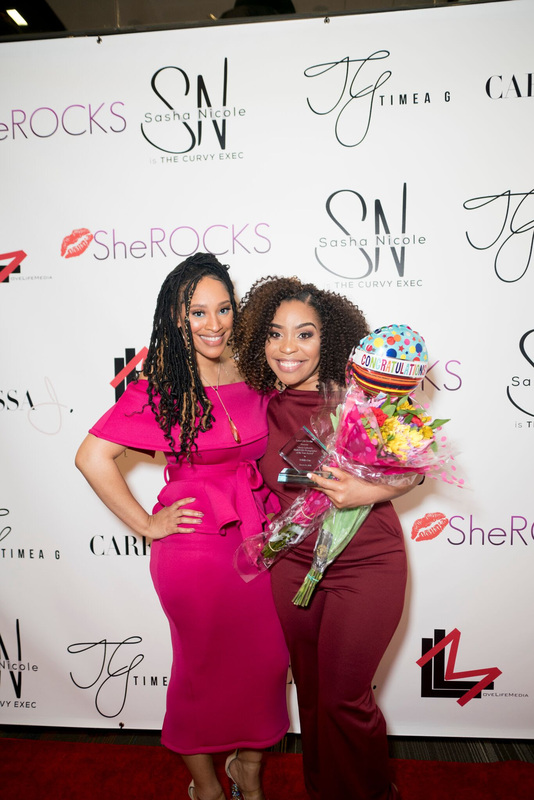 SheROCKS is brought to you by Prince George’s County Social Innovation Fund 40 Under 40 recipient, Hello Beautiful Woman To Know 2017 and Love Life Media, LLC CEO and motivational speaker, Timea Gaines. 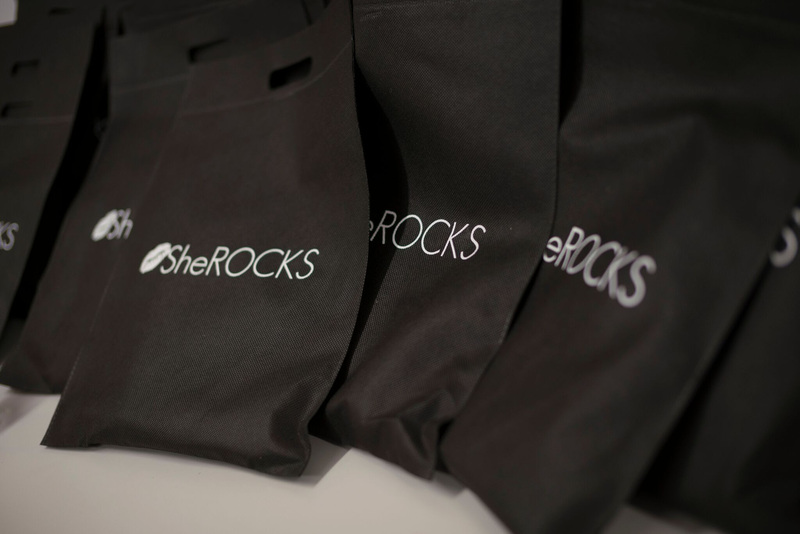 For additional event information please visit SheRocksEvent.com. 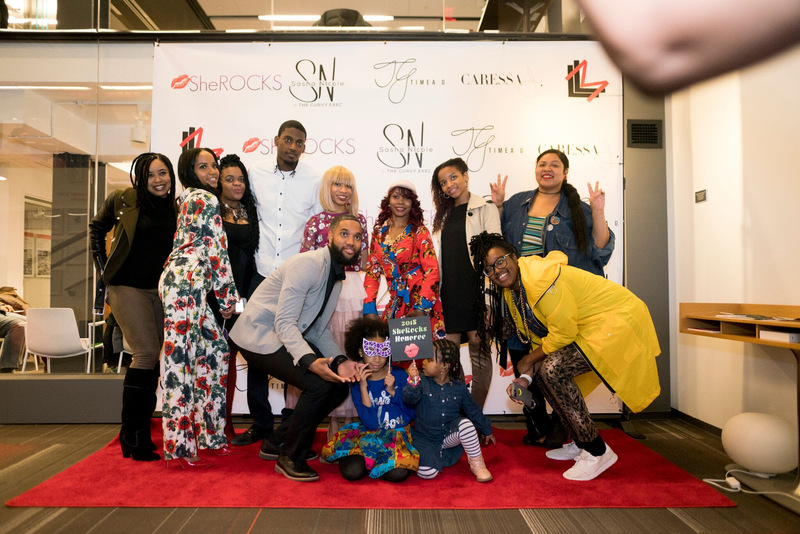 Search the #SheROCKS2018 hashtag on Instagram to check out the social media love, and follow SheROCKS via Facebook, and @SheRocksEvent on Twitter. 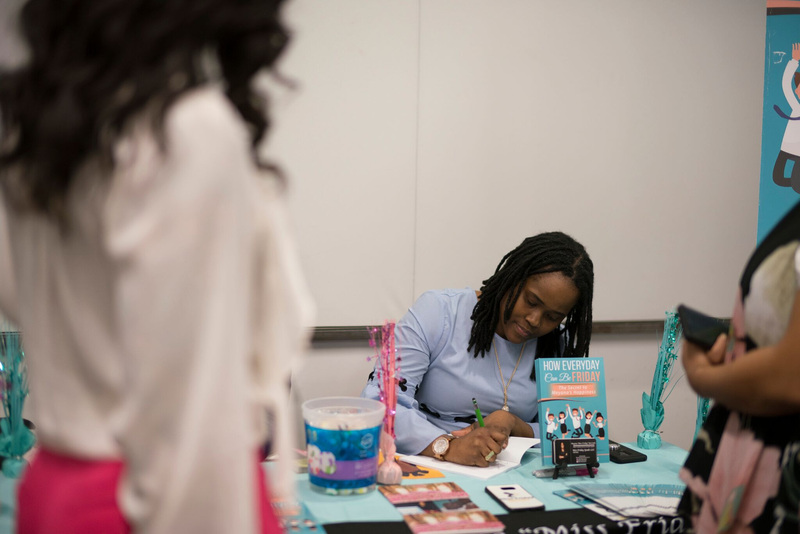 Please contact publicist with media or interview requests. 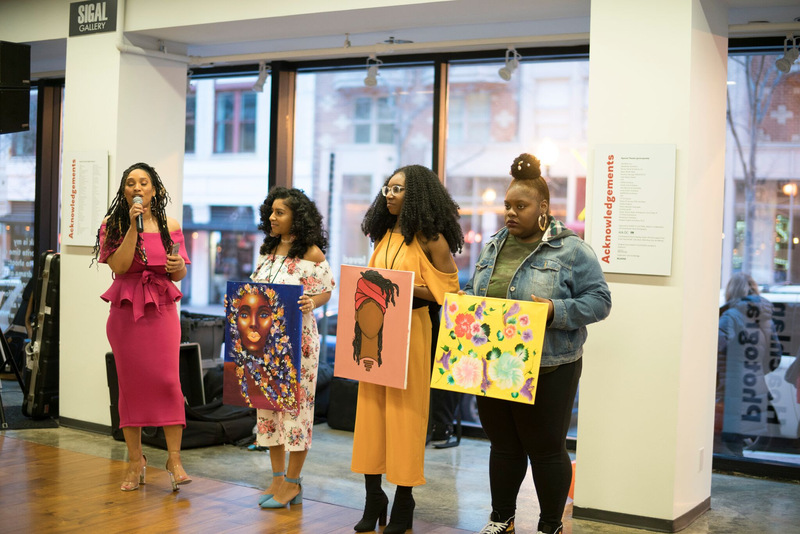 SheROCKS is the Washington, D.C. metro and surrounding areas’ premiere Women’s History Month celebration, highlighting and honoring women across the nation excelling in arts and business. 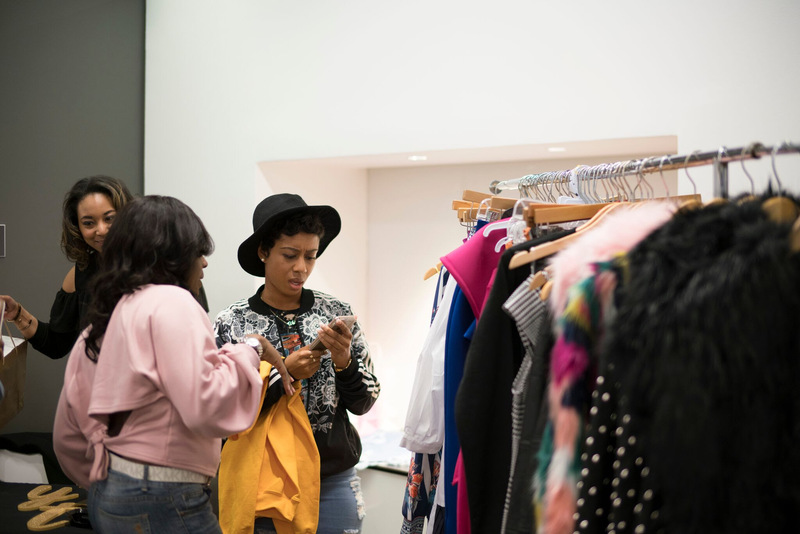 Osei PR is a boutique public relations agency specializing in strategic publicity services and campaigns for emerging and luxury fashion, accessory, beauty and lifestyle brands.